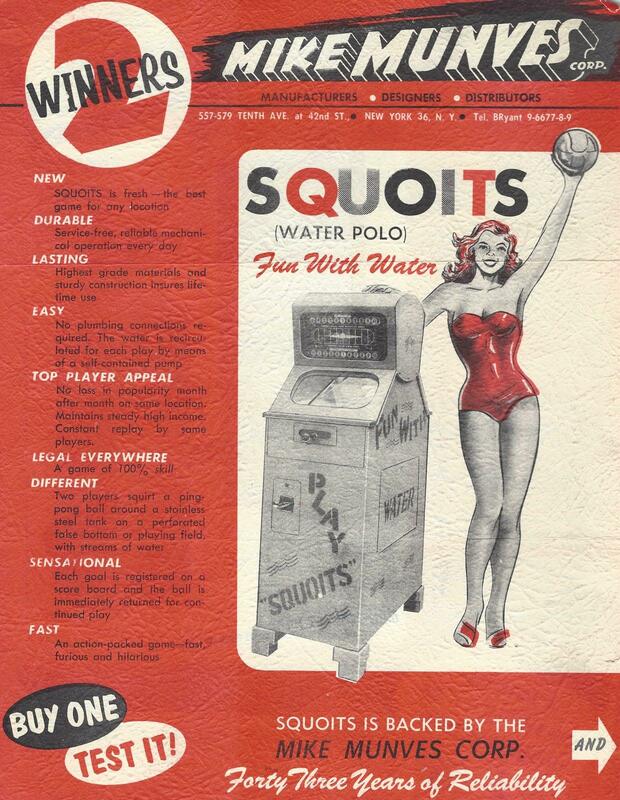 Description: Squoits, Aquatic Products (Los Angeles), 5/57, a two player water polo game. 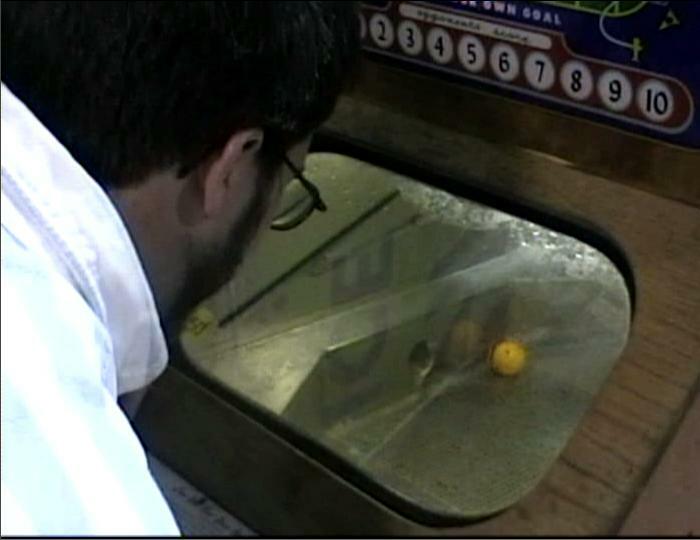 Water jet propel a large ping pong type ball to score points electrically. Game only works with two players. 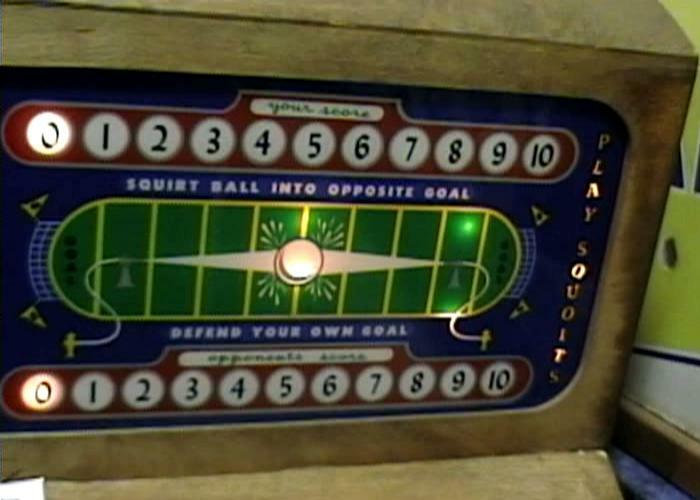 Try and move the ball to the opponents goal using water jets ("Squirt ball into opponent's goal", "Defend your own goal"). There is even a windshield wiper blade for each player's viewing window! 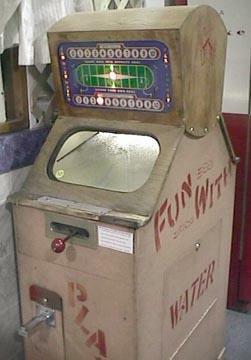 Says "Fun with Water" on the cabinet side.